at 5-9-30/1/17/D, Road No.4 Basheerbagh Palace Colony Hyderabad, 500 063. 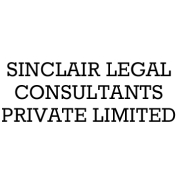 Sinclair Legal Consultants (P) Ltd is a law firm which offers a host of services in the areas of Criminal, Civil, Corporate and Constitution Law. It has experienced inhouse lawyers to cater your urgent needs. Client satisfaction is always paramount when considering the philosophy and work culture of the firm. Ultimately, our goal is to provide world class legal services that are executed by expert attorneys with an efficient, sensible, and structured approach.